Today’s world is a technological wonderland that allows people to do a variety of different things online. Some folks use the world wide web to stream movies, television shows, or download and listen to music. Others choose to play video games online as they can team up with gamers from across the globe. Plus, there are plenty of online retailers for consumers to purchase goods or services. There are many possibilities now, but new advancements are always happening, so more and more web-based things are sure to come. One way Ohio teens and adults are taking advantage of the situation is by getting their driver training through an online drivers ed program. It is a flexible, convenient, and affordable solution for completing the coursework portion of drivers ed. Students still have to practice driving in-person, but there are a lot of benefits in finishing this part of the equation on the web. So, read further to learn about the best online drivers ed in Ohio. This list of the best online drivers ed courses in Ohio will help guide you through the selection process. Not every organization is out to get something over on someone, but scams are plentiful in the modern world. Do the legwork by reading testimonials and reviews like this one, or even asking friends about their school experiences. You work hard for your money, so don’t leave anything to chance by failing to investigate the institution. Avoid getting taken advantage of by using the smartphone attached at your hip for more than just playing on social media. Instead, use it to find the best online drivers ed in Ohio. Are The 2019 Best Online Drivers Ed In Ohio Classes Hard? Driver training is not necessarily difficult, but the coursework can seem tiresome and tedious. However, when compared to a traditional classroom setting, the best online drivers ed in Ohio is a breeze. Most school’s allow students to work at their own pace and take breaks as needed. This action keeps them fresh and crisp while preventing them from becoming flustered or overwhelmed. So, kick back and relax, but pay attention, and you should have no problems passing the final exam. Here are the best online drivers ed courses in Ohio. There are several online drivers ed courses approved in Ohio for 2019, but these are who I highly recommend. These reviews have been manually reviewed and updated for 2019. Below this list of recommended drivers ed courses for Ohio, you’ll find a full list of all online drivers ed courses approve in Ohio for 2019. There are a lot of things that make Aceable unique and worthy of being called the best online drivers ed in Ohio. For one, the establishment has a slick, well-built smartphone app for Android and iOS platforms. This feature gives students the opportunity to complete lessons from various kinds of devices. The curriculum is engaging as well as entertaining, and some folks may even consider it to be fun. It includes items like animated videos, memes, 3D interactive materials, and more, which keep things interesting. Additionally, Aceable is Ohio BMV approved, so students won’t run into any problems when attempting to get their permit or license. The class is affordable, and as a bonus, it even comes with six months of Allstate Roadside Assistance. This extra is a big draw for many people because one never knows when disaster might strike. Aceable also has superb customer service. Help is available 7-days a week to answer your questions via chat, email, or phone. 2019 Update: Aceable is better than ever in 2019, which is why I am leaving them as my top recommended online drivers ed course in Ohio. Even though they were already the most modern online drivers ed course available, Aceable performed many upgrades to their course over the past year. It works better than ever on mobile devices and the new 3D interactive animations are just incredible. There is not better online drivers ed course than Aceable in my opinion. Another excellent choice for the best online drivers ed in Ohio is DriversEd.com. It is a one-stop shop that offers online classes and optional in-person driving instructors as well. The establishment has over 25-years of experience, and since its inception, has served more than 11 million customers. Students can learn from any device, and they are free to work at whatever pace is comfortable for them. 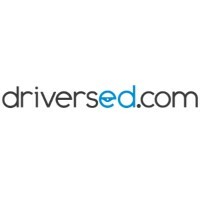 DriversEd.com features a nice mix of materials that keep pupils engaged and alert while keeping their sights set on the ultimate goal of obtaining their license. Thanks to the reasonable prices, people don’t feel as if they are breaking the bank when signing up. Plus, learners can access the content 24/7, which means they can work at a time that is convenient for them. The practice tests can be taken an unlimited number of times for free. This helpful tidbit assures that you are ready for the final exam when the time comes. Should a person have a question, the customer support team is available 7-days a week to solve the dilemma. 2019 Update: DriversEd.com also experienced some excellent course improvements over the past year, making them a top choice for 2019. Most notably, they updated some of their videos and also improved how the course functions on phones and tablets. And finally, they expanded their U.S. based customer support team in case you have any issues. DriversEd.com should absolutely be a top consideration. Depending on what a person is looking for, Driver Ed To Go could prove to be the best online drivers ed in Ohio for them. It is a well-established organization in the industry and has graduated over 4 million students. All of the work is 100% online, and pupils can use a device of their choosing to complete it. They have the freedom to study whenever they want, and the various combinations of materials ensure they stay engaged. Additionally, Driver Ed To Go guarantees that you will pass the final exam. In other words, a person takes the test as many times as needed to succeed. There are also other reasons as to why it is considered the best online drivers ed in Ohio. For instance, it is one of the few institutions that may allow students to earn high school credit. If everything checks out, high schoolers can receive up to 2.5 credits. Plus, there are several upgrades available to make the experience even better too. Same-day processing, an audio read-along feature, and email confirmations can be added to the package for an extra fee. The class is inexpensive, but be careful with the enhancements as to not let the price get out of control. 2019 Update: Driver Ed To Go made some improvements to their course as well. Not only does this course function much better on mobile devices, but the biggest improvement are the brand new videos. In 2018, some of the videos on Driver Ed To Go were extremely outdated. Those videos were not only updated with more modern content, but many of the videos include interactive features as well. They also added a few games to help retain the boring information. Due to these improvements, Driver Ed To Go should seriously be considered in 2019, especially for those who are on a tight budget. All of these institutions are worth checking out and being at the top of your list. They each are capable of getting teen and adult drivers ready for the open road. However, some are more geared towards teenagers. Still, regardless of which one you choose, it will teach you how to become a safe driver, which will benefit everyone on the streets. 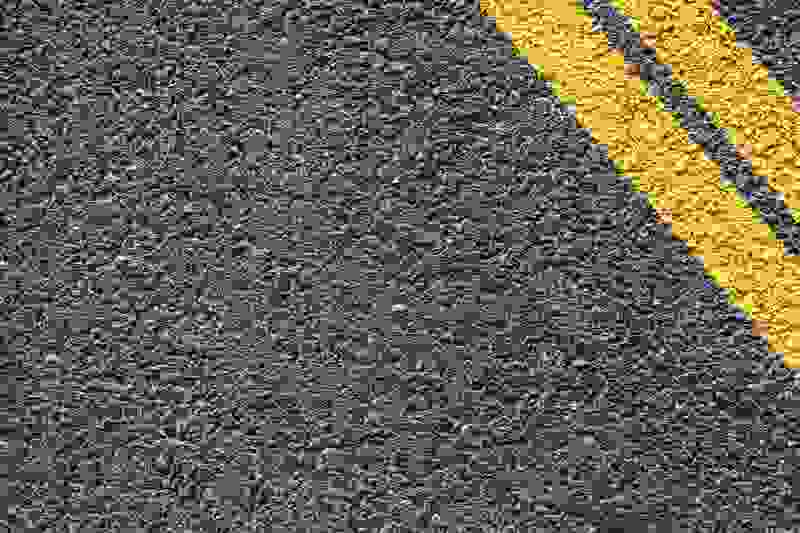 While we recommend you stick with the top recommended courses above, here is a list of ALL online drivers ed courses approved in Ohio for 2019.